Is the archive future proof? from Amelia Crouch on Vimeo. Work commissioned for 'Untitled 02', a publication looking at aspects of the visual art scene in Leeds in the run up to British Art Show 8. 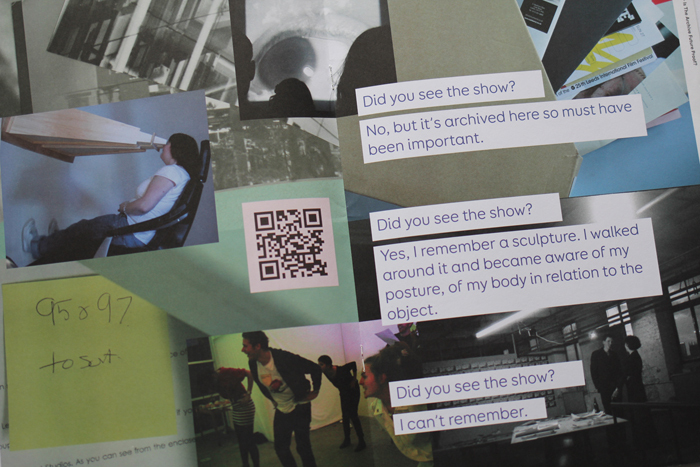 This edition of the publication (produced by The Tetley, commissioned by LCC) was about visual arts archives in the city. 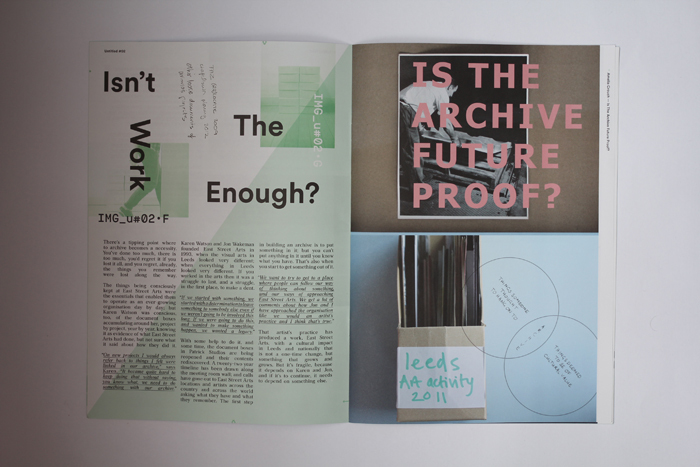 The artwork includes the centre pages of the publication and an accompanying video 'Is the archive future proof?' by Amelia Crouch with a soundtrack by Andy Abbott. Thanks to East Street Arts and The Tetley for access to their archives.